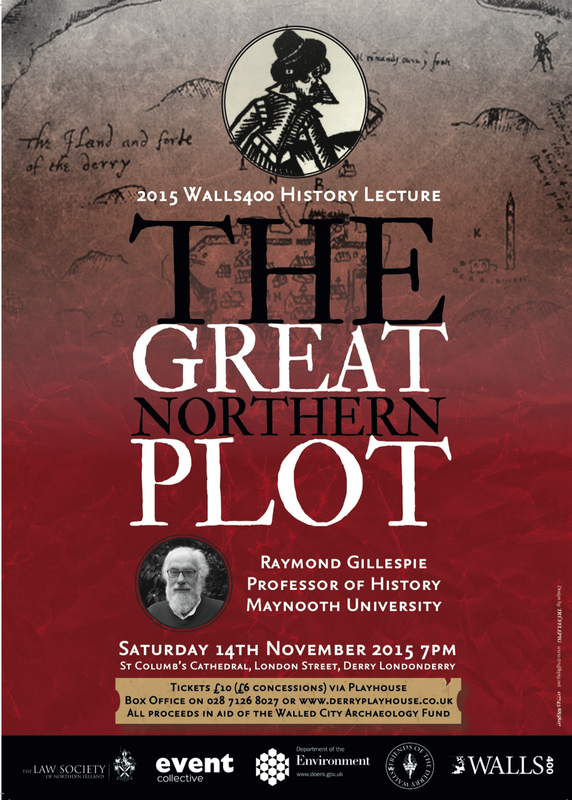 The 2015 Walls400 History Lecture was delivered by Raymond Gillespie, Professor of History at Maynooth University on the theme of ‘The Great Northern Plot of 1615’. The 2015 Walls400 History Lecture will commence at 7pm on Saturday 14th November in the historic surroundings of St Columb’s Cathedral. This is the the third annual Walls400 History Lecture, organised by the Friends of the Derry Walls. Each year we choose a story connected with the building of the Walls and we look at the legacy it has created both on the place we live in and on our cultural identities. It is fascinating that dramatic events surrounding the Great Northern Plot took place in Derry exactly 400 years ago in 1615. Professor Gillespie helped us bring this story to a present-day audience, giving voice to both the plotters and those who tried them. 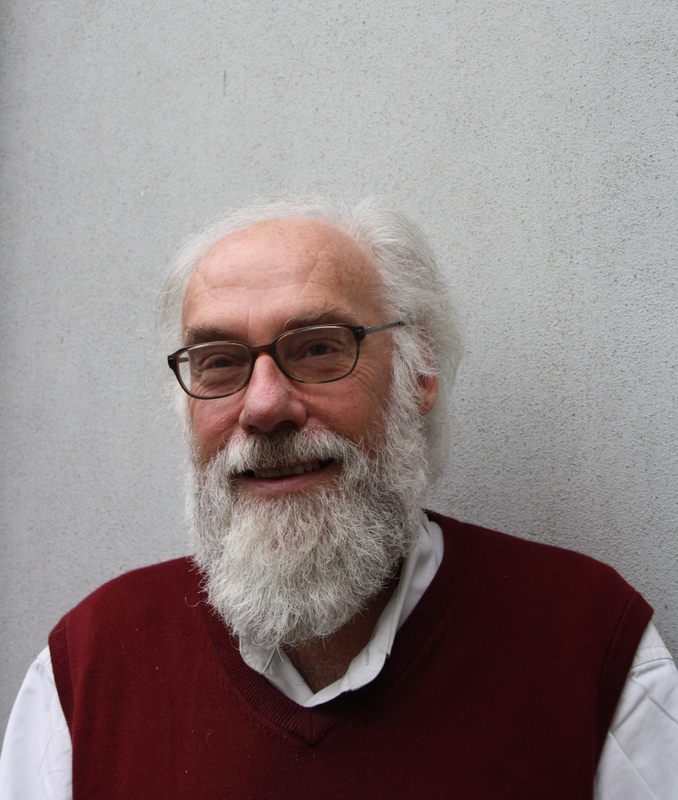 Professor Gillespie has written extensively on seventeen century Ulster and in 1987 the Institute of Irish Studies at Queen’s University Belfast published his book ‘Conspiracy: Ulster Plots and Plotters 1615’. It is from this rich research base that Professor Gillespie will deliver the 2015 Walls400 History Lecture on the subject of ‘ The Great Northern Plot’. The plot and subsequent trial took place in the new Plantation city and county of Londonderry 400 years ago this year. Beyond immediate effects on relationships between the Settlers and Native Irish, the story of the Plot was of major political concern in the Irish Parliament in Dublin and Court of James I in London. It is no coincidence that the building of the Derry Walls, a task largely neglected by the London Companies prior to the Plot, was begun in earnest in 1615. At the end of July 1615, two Londonderry Assizes judges, the Mayor and a mixed jury of Settlers and Native Irish tried 21 alleged conspirators. Six were found guilty and the rest innocent. The case was notable for its scale; the effects it had in Dublin, London, Derry and across Ulster; the detail of the surviving depositions; the first judicial use of the rack in Ireland; and the legacy it had on our cultural identities in present-day Northern Ireland. The 2015 Walls400 History Lecture was sponsored by the Law Society of Northern Ireland, the Events Collective and the Department of the Environment for Northern Ireland. Proceeds from the lecture will go to support archaeological investigations in and around the Walled City in 2016. The November lecture is an opportunity to learn more about the events of 400 years ago at the same time as making a contribution towards getting local archaeological investigations underway in 2016.